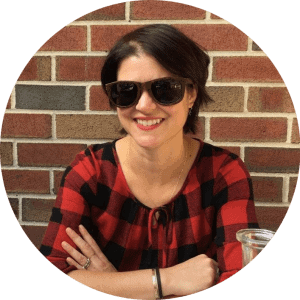 Our globe-trotting art correspondent Saisha Grayson is back with more recommendations on where to feed your eyes and your stomach. This time, she’s reporting from the sunny shores of south Florida, where Art Basel Miami Beach sets up camp every December. Luckily, the good eats in this town are year-round. One can only assume that the wealthy jet-set collectors, whose conspicuous consumption is the raison d’être of Art Basel Miami Beach, expect their meals—like basically everything else in their lives—one of two ways: free or exorbitantly expensive. And, lord knows, Miami during art week does its best to accommodate. If you have a VIP card for ABMB, you can basically eat breakfast somewhere for free every morning from Tuesday through Saturday, but then again, if you are staying at the new SLS, why miss the opportunity to sample the José Andrès breakfast table for $28 a head? Likewise, galleries, collectors, museums, and other high-stakes players take turns hosting swanky dinners early in the week, but if you are at the upper echelon of this world, you are just as likely to be paying $750 a plate at a fundraising gala or stopping by the local outlet of your favorite chain restaurant, say, Nobu or DB Bistro, for a tête-à-tête. 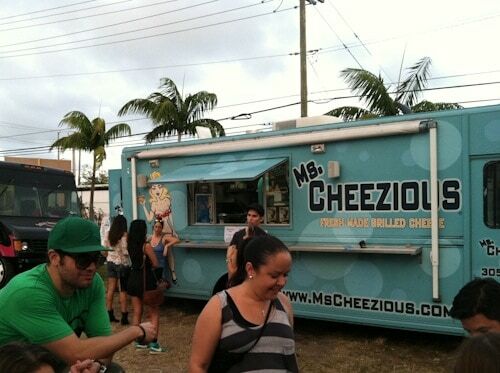 I’m going to assume that these people are not worried about where to eat in Miami for art week. And while I was only recently a starving grad student who couldn’t eat out at all in Miami, I’m also not going to write for my former self, because, well, PB&J tastes basically the same from any supermarket. So this post is for the many attendees of this art world confab, like my current self, who fall somewhere between the two categories. Let’s set off just as my partner for this mission—whom we’ll call The Captain—and I did, with a trip to local legend Joe’s Stone Crab. We’d been here once before and—sacrilege!—were not blown away by the very expensive stone crabs. We were, however, incredibly impressed with their other renowned items, in particular the crab bisque and the key lime pie. On our return trip, we added a shared entrée of crab cakes and were very pleased with the results. The bisque, I’ll admit, was a little too butter-rich for me to imagine my own bowl, but each spoonful of the savory, seafood-y blend was a delight. The crab cakes were almost entirely composed of fresh meat with little filler, so I didn’t miss breaking apart claws as I broke apart the perfectly crisp breadcrumb crust. 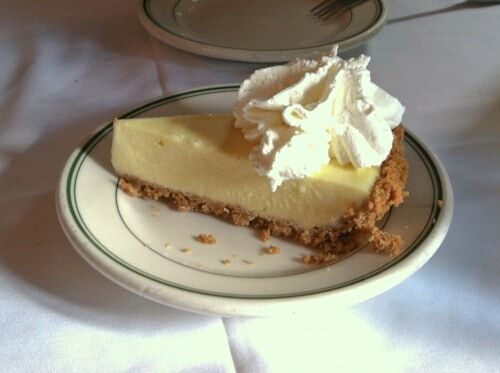 And the lime green slice of pie was heaven: so cold that the filling doubles as gelato on your tongue and the salty graham cracker crust crumbles satisfyingly around the edges. If we hadn’t ordered oysters, drinks and coffee, this meal would have been downright cheap, but as it played out, it was still a brilliant way to experience the best Joe’s has to offer without breaking the bank. The real pressure comes, though, in selecting dinner on South Beach. For this occasion, we decided on the well-reviewed Pubbelly Sushi since I love sushi in all forms, and when done right, I am a fan of mash-up culinary innovations. For the most part, that was exactly what this place delivered. 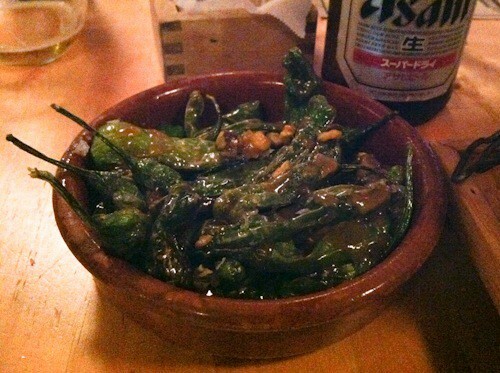 The shishito peppers apparently change preparation regularly, and ours had a sweet, sticky Thai-style peanut sauce. These were fun but a little dangerous, as you’d start at the tip with no seeds and no heat, only to realize, too late, that you’d just bit into a bushel of fire towards the stem. As a result, these became interlude snacks, eaten one or two at a time throughout the meal. The Pubbelly sashimi showcased fresh slabs of fish soaking in splashes of yuzu, mandarin, or basil vinegar, adding complex flavors to the usual pairing of sashimi and soy sauce. The Pubbelly rolls split the crowd, with The Captain enjoying, on his own, a pork belly and fried crab roll that was just a little too weird for the rest; though all of us fawned over a special roll that included spicy tuna and a truffle-salt-panko-flake combo to die for. With free-flowing beer and full bellies, we got out of there for $60 a head. I can’t wait to try the original Pubbelly next year! But my most exciting food moment was, of course, the least planned. Strolling around the Wynwood/Design District, we came upon a giant empty lot with a ring of food trucks surrounded picnic tables, a DJ, and loads of milling couples, families, and local scenesters sampling the fare. We hit up B.C. Tacos, the truck with the longest line, for inventive grilled fish tacos and fried avocado tacos. For dessert, we got creative with a sandwich with spiced apples and havarti from the Ms. Cheezious grilled cheese truck. The food truck rally is open extra days to match up with the art fairs, so this will be a fixture on my Miami Art Week itinerary in future years. Need more options? Here’s a brief rundown of additional spots for getting between free meals and busted bank accounts. The Eleventh Street Diner is an adorable, old school, 24-hour diner; if you are lucky enough to be staying nearby, this is a brilliant alternative to exorbitant hotel breakfasts. Famed lunch spot La Sandwicherie, is convenient to the beach and delivers, making it a great alternative to room service. Alma, a small Mexican joint on Collins, provided our best bang-for-the-buck meal in South Beach, with its fish tacos and guacamole, just blocks from the convention center. 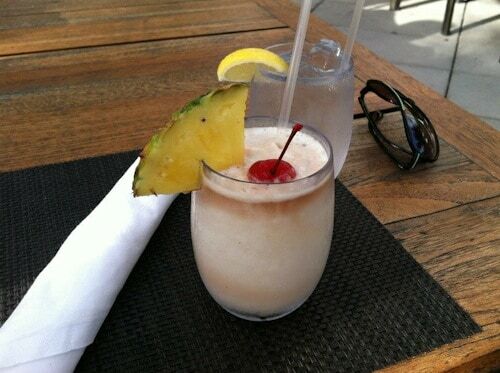 And totally not cost-conscious or convenient or in any way logical, we made a trip based on insider intelligence to the downtown Four Seasons to attain the “world’s best pina colada” and were duly impressed. 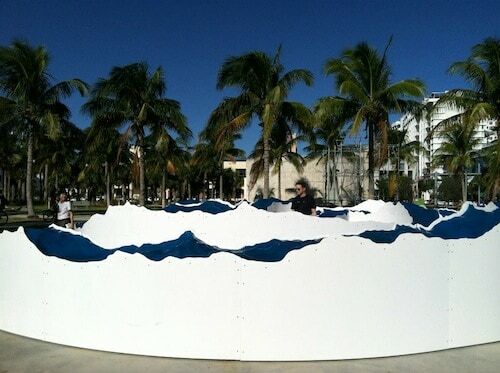 Art Basel Miami Beach is an annual art fair that takes place at the Miami Beach Convention Center, and along with the twenty-plus satellite fairs, coordinated museum openings, installations and events, is a mainstay on the contemporary art world calendar. Sister to the original Art Basel fair that began in Switzerland in 1973, the Miami iteration has been ballooning since its inception in 2002, this year attracting 50,000 attendees. I’m honored and thankful that I had the opportunity to enjoy one of these, and can wholeheartedly recommend everything my chopsticks could reach (which was more than I should have eaten) at Hakkasan, the high-end Cantonese chain that began in London and has its Miami outpost in the newly renovated Fontainebleau. While my lingering grad-school self, in general, loves free dinners, I especially loved this one, as it combined incredible food, a perfect martini, and intelligent, engaging, intimate conversations about—can you imagine, at Art Basel?—art! Curators who aren’t yet on the gallerists’ radar, artists who aren’t yet floated by their gallery, gallery assistants and press people who don’t have their own expense accounts yet, the many minions for the many many sponsors who want a piece of the action, the representatives of small institutions that don’t have money to burn, and all those non-affiliated people who are intrigued by the spectacle of it all and come to see art and people watch and, occasionally, might need a bite to eat. The Captain was working on his own story, “Where to Drink Screwdrivers at Miami Art Week,” though without a confirmed assignment. This is presuming you are staying somewhere near the main fair, which is convenient for fair-hopping but bad for food, as South Beach is known for its mediocre and overpriced, or stellar and astronomically-priced (see Hakkasan, José Andrès at SLS, etc) food. I want to tip my hat, then, to the Miami food blog Food For Thought, which was my resource in finding places that felt special and worth trying, but were away from scene-y Ocean Drive and Collins. The jackpot of this kind of dining seems to have landed, for reasons I can’t divine, on an isolated, hard-to-get-to corner (20th Street and Purdy Ave), where Pubbelly and Pubbelly Sushi sit next to Barceloneta, all of which looked perfect for our needs. Honestly, this might be a variation on either the bigeye tuna roll or salmon roll, though neither of the online menu descriptions matches my memory. I sense that one of the bonuses of eating here regularly, though, would be noting how the kitchen tweaks regular items. Where you’ll find important satellite fairs such as Pulse, Art Miami, and Seven, private collection-museums like the Cisneros-Fontanals, de la Cruz, Margulies, and Rubell, plus the local gallery scene. 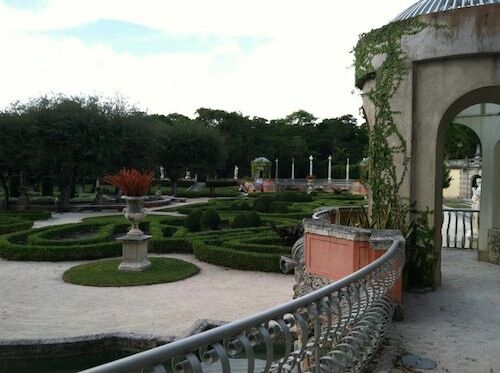 The only way to make this trip to Bricknell slight less insane is to piggy-back it on a trip to Vizcaya Museum and Gardens, which is a magical place and often hosts contemporary installations to coincide with the fairs.